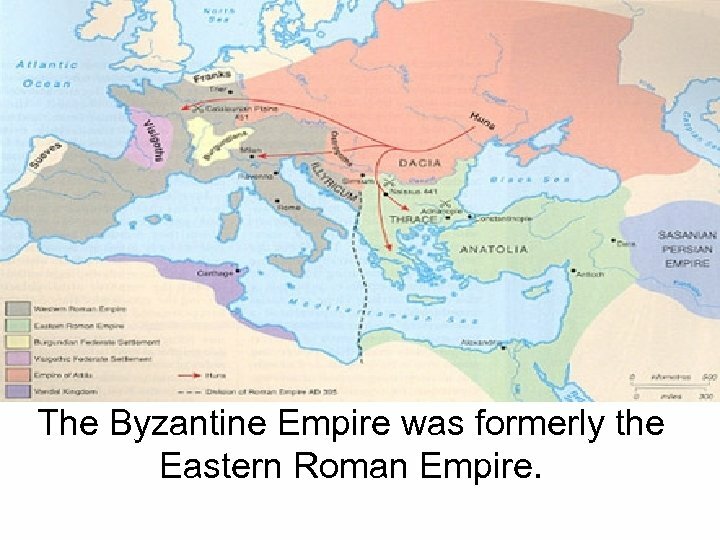 The Byzantine Empire was formerly the Eastern Roman Empire. The Eastern Roman Empire • The Western Roman Empire fell in 476 A. D. • However, the eastern portion of the empire survived. It began the Byzantine Empire. 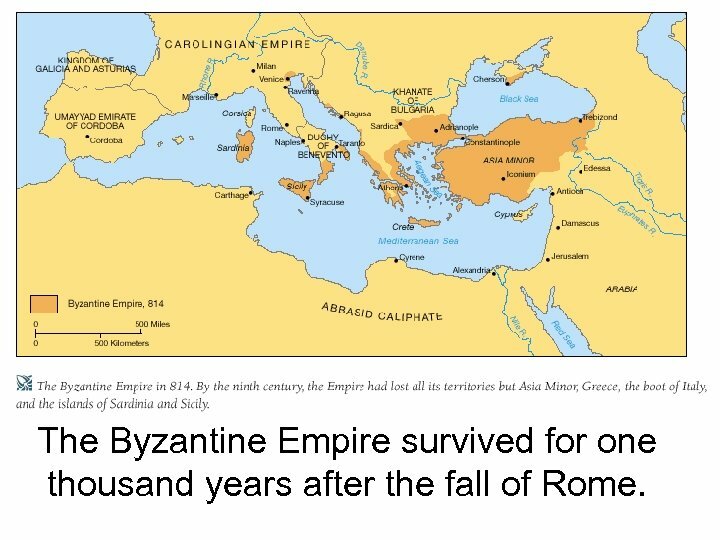 • The Byzantine Empire survived for one thousand years after the fall of Rome. 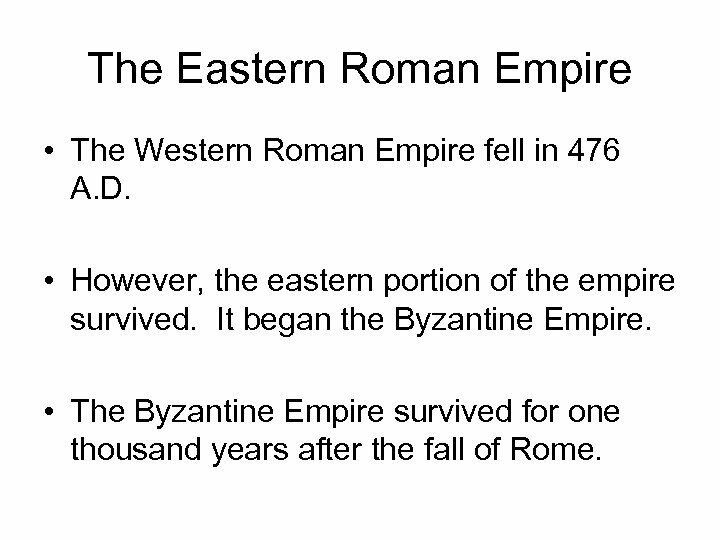 The Byzantine Empire survived for one thousand years after the fall of Rome. 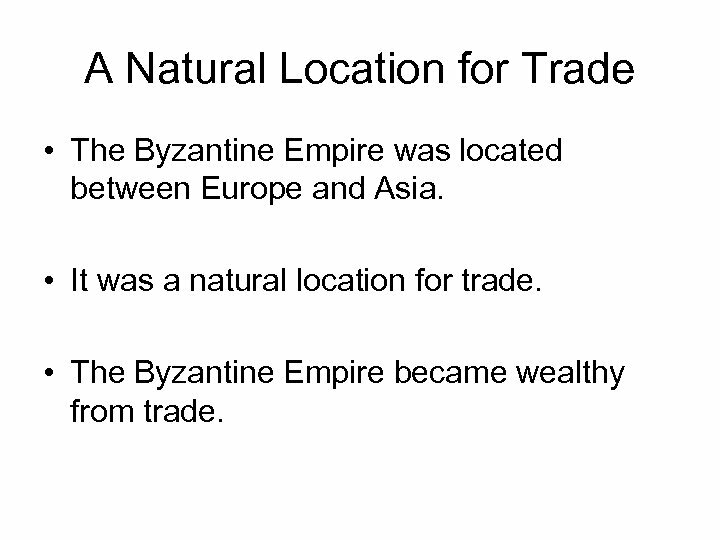 A Natural Location for Trade • The Byzantine Empire was located between Europe and Asia. • It was a natural location for trade. • The Byzantine Empire became wealthy from trade. 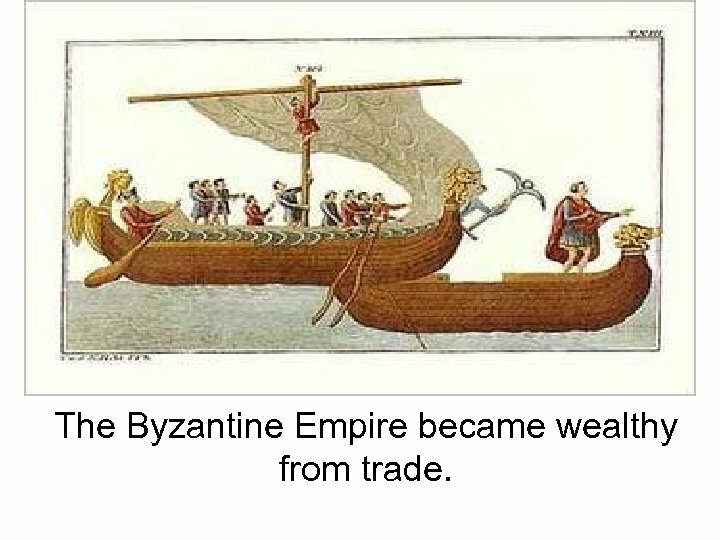 The Byzantine Empire became wealthy from trade. 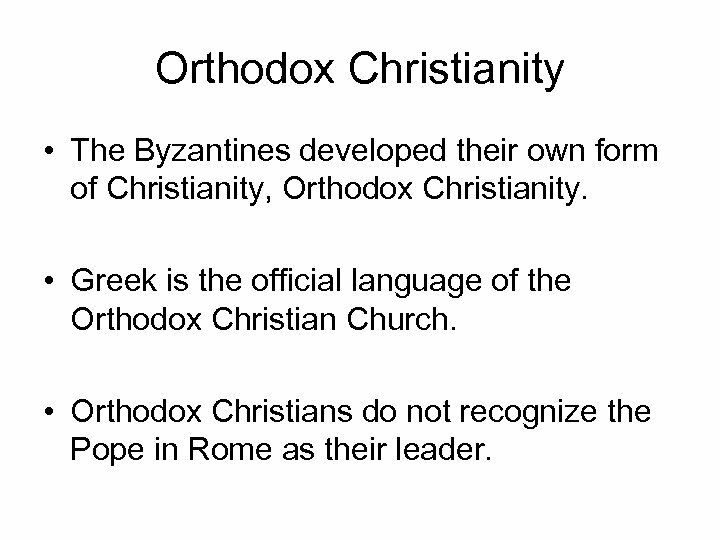 Orthodox Christianity • The Byzantines developed their own form of Christianity, Orthodox Christianity. • Greek is the official language of the Orthodox Christian Church. • Orthodox Christians do not recognize the Pope in Rome as their leader. 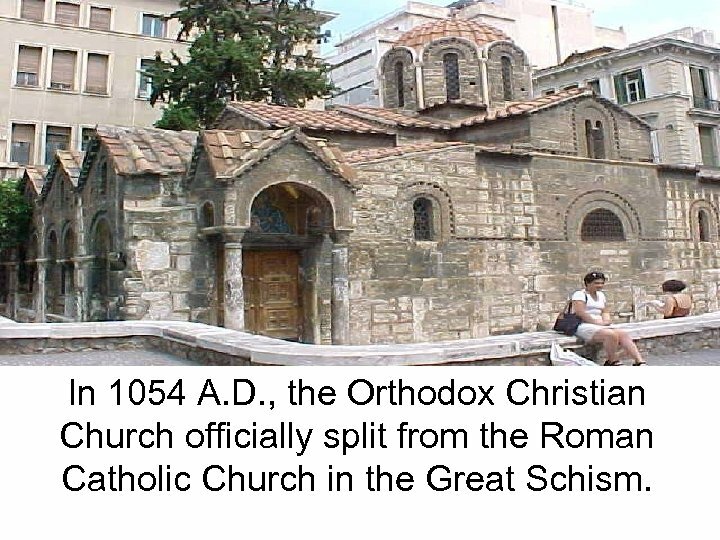 In 1054 A. D. , the Orthodox Christian Church officially split from the Roman Catholic Church in the Great Schism. The Hagia Sophia was a Byzantine Church and an architectural marvel. 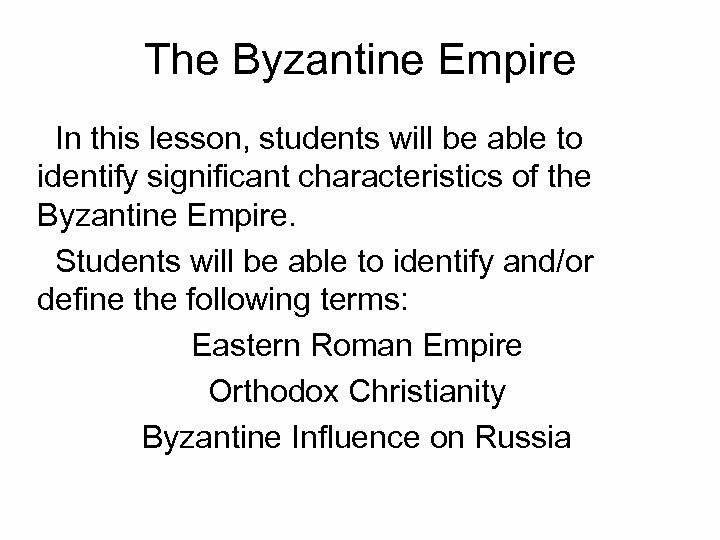 Byzantine Influence on Russia • The Byzantine Empire greatly influenced Russia. • Byzantine missionaries established Orthodox Christian churches in Russia. 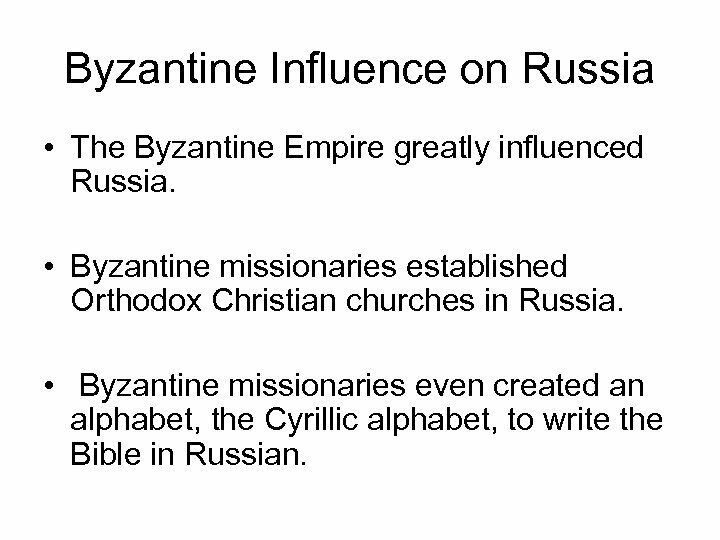 • Byzantine missionaries even created an alphabet, the Cyrillic alphabet, to write the Bible in Russian. Do you see the Byzantine influence in this Russian Orthodox Church? 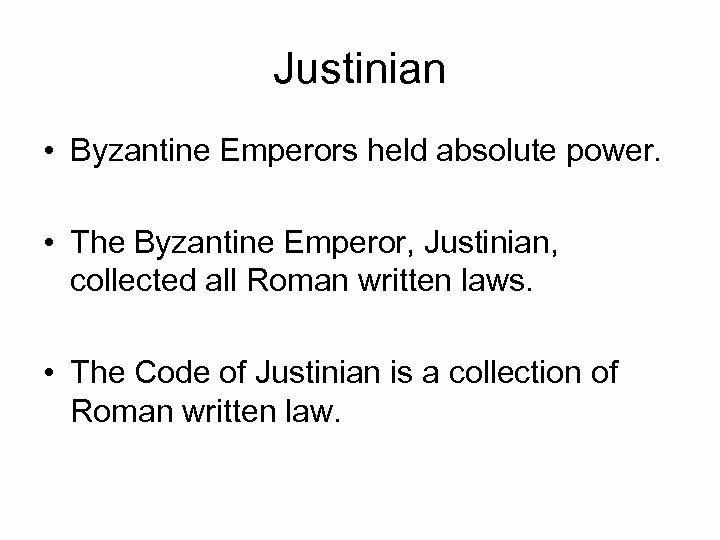 Justinian • Byzantine Emperors held absolute power. 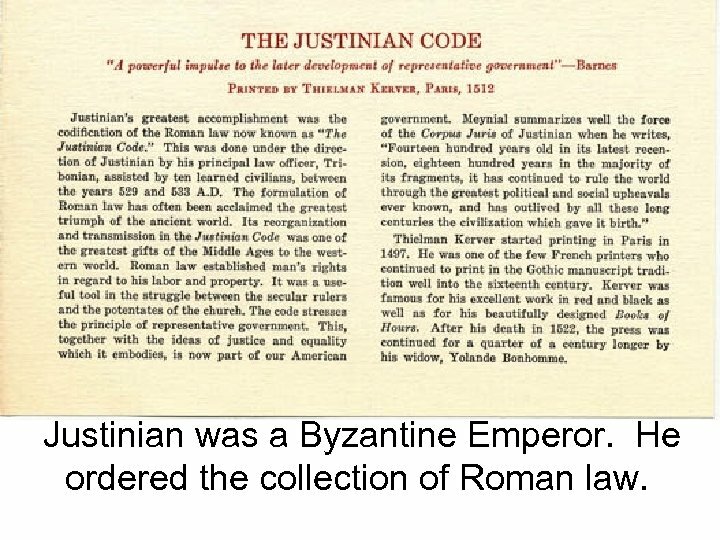 • The Byzantine Emperor, Justinian, collected all Roman written laws. • The Code of Justinian is a collection of Roman written law. Justinian was a Byzantine Emperor. He ordered the collection of Roman law. 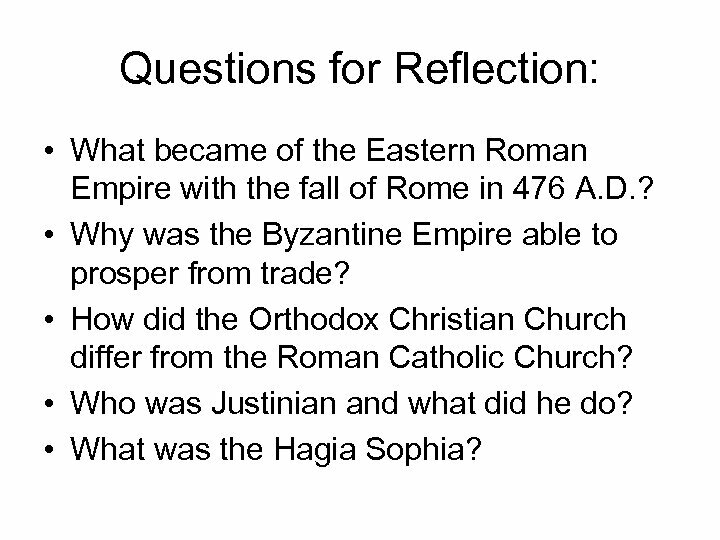 Questions for Reflection: • What became of the Eastern Roman Empire with the fall of Rome in 476 A. D. ? • Why was the Byzantine Empire able to prosper from trade? 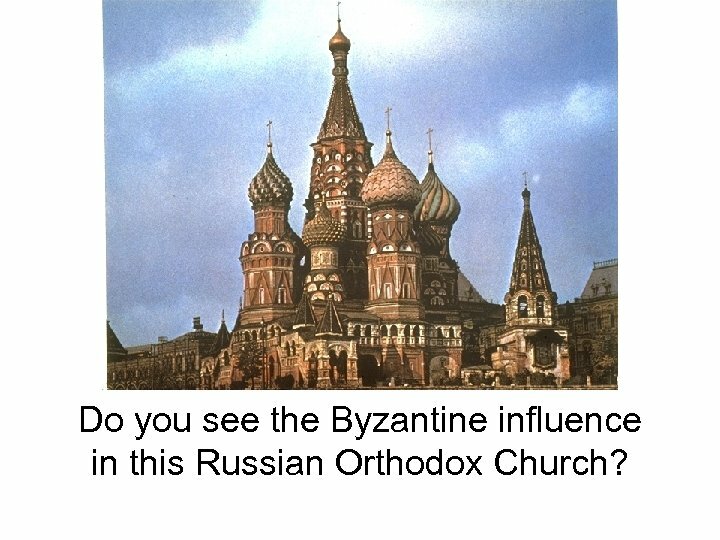 • How did the Orthodox Christian Church differ from the Roman Catholic Church? • Who was Justinian and what did he do? 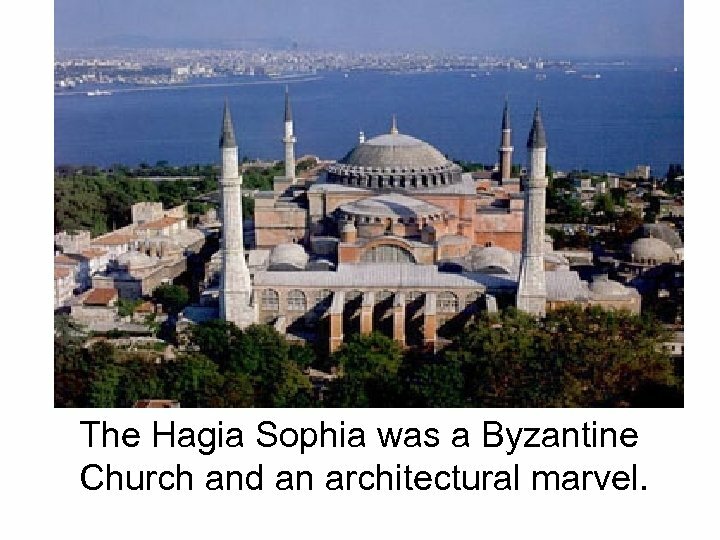 • What was the Hagia Sophia? 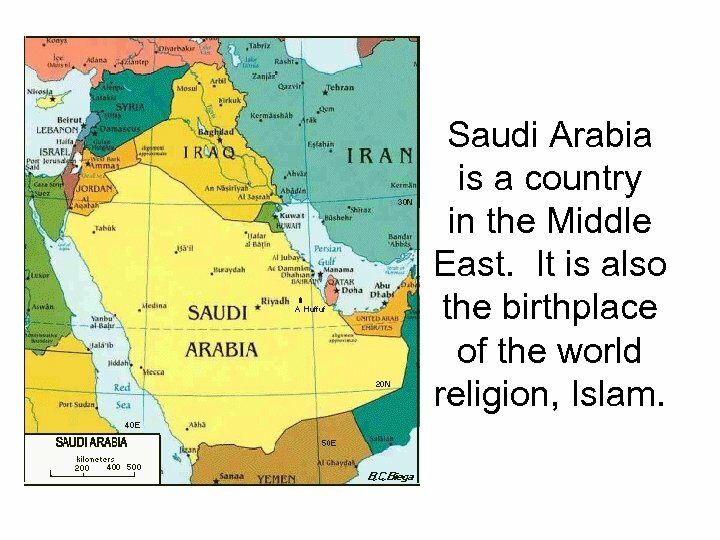 Saudi Arabia is a country in the Middle East. 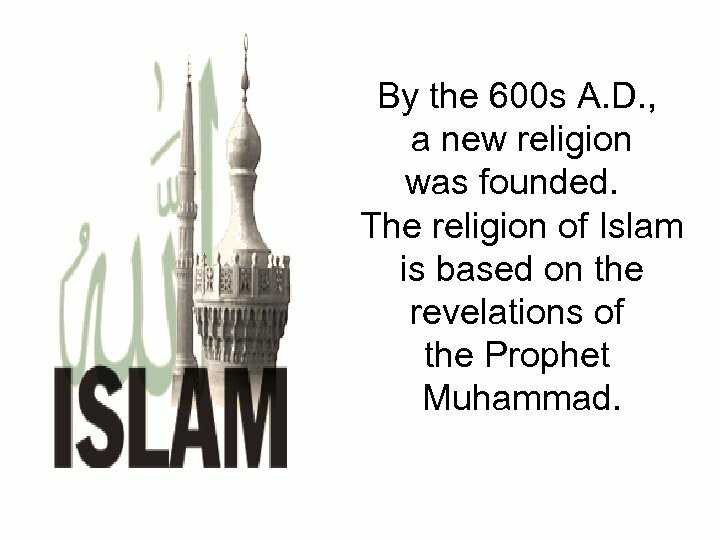 It is also the birthplace of the world religion, Islam. 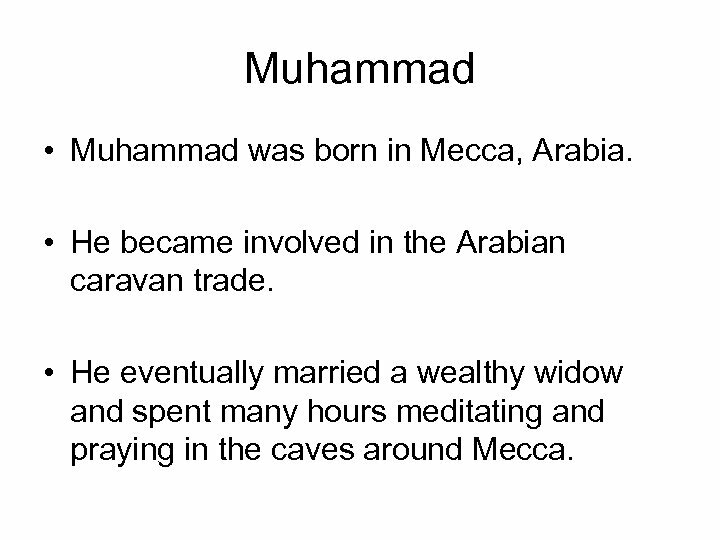 Muhammad • Muhammad was born in Mecca, Arabia. • He became involved in the Arabian caravan trade. • He eventually married a wealthy widow and spent many hours meditating and praying in the caves around Mecca. Muhammad was a religious man. 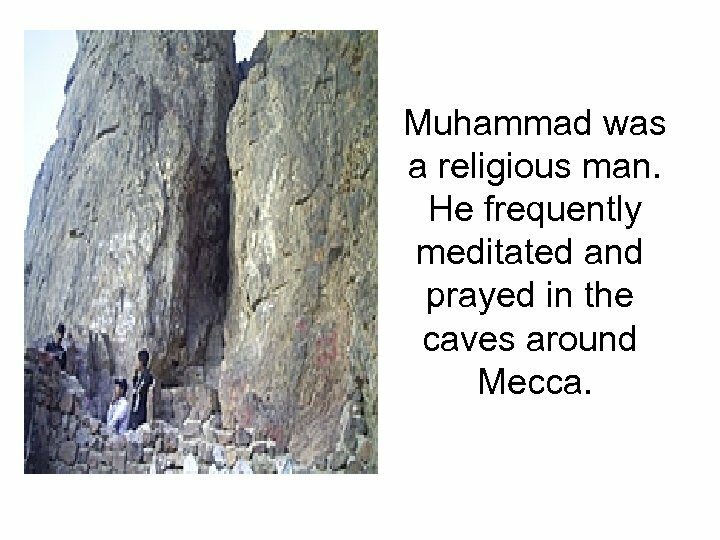 He frequently meditated and prayed in the caves around Mecca. 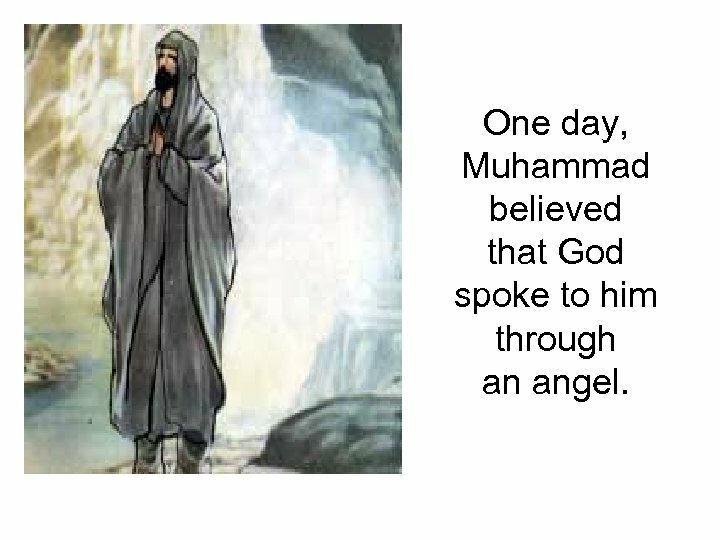 One day, Muhammad believed that God spoke to him through an angel. By the 600 s A. D. , a new religion was founded. The religion of Islam is based on the revelations of the Prophet Muhammad. Monotheism • Muhammad believed that the one, true God had spoken to him. 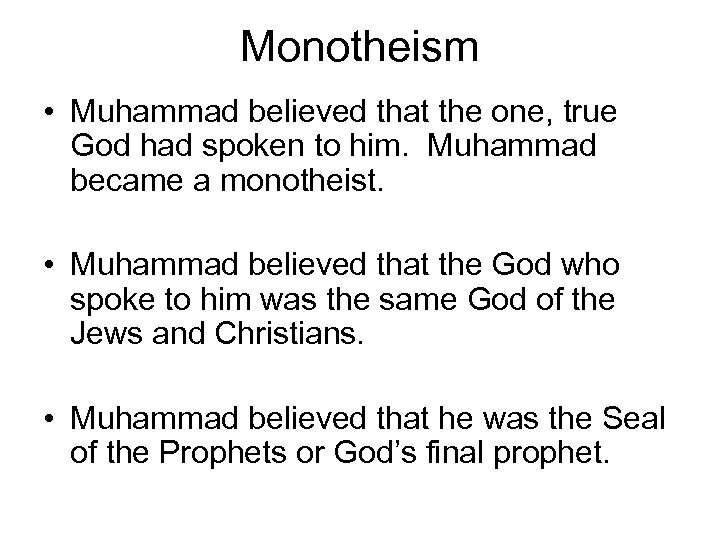 Muhammad became a monotheist. • Muhammad believed that the God who spoke to him was the same God of the Jews and Christians. • Muhammad believed that he was the Seal of the Prophets or God’s final prophet. The Koran or Qu’ran is the holy book of Islam. 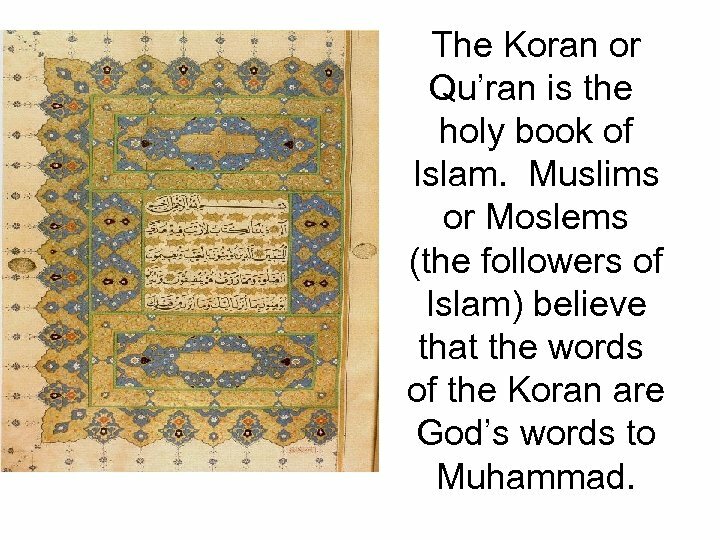 Muslims or Moslems (the followers of Islam) believe that the words of the Koran are God’s words to Muhammad. 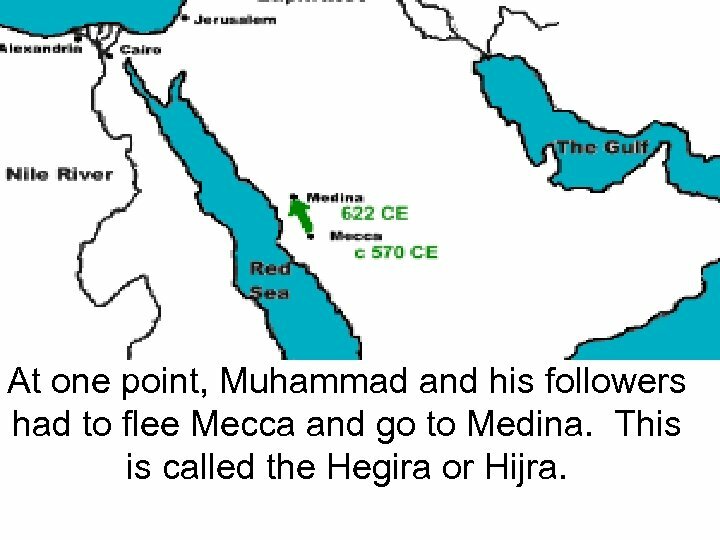 At one point, Muhammad and his followers had to flee Mecca and go to Medina. This is called the Hegira or Hijra. 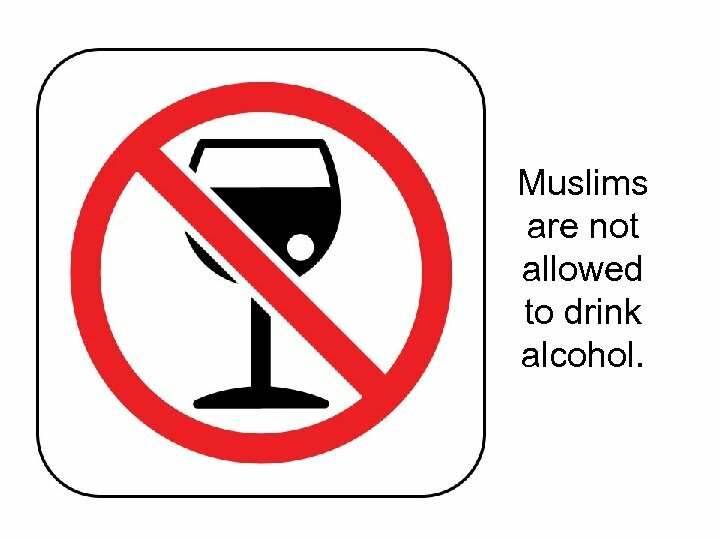 Muslims are not allowed to drink alcohol. 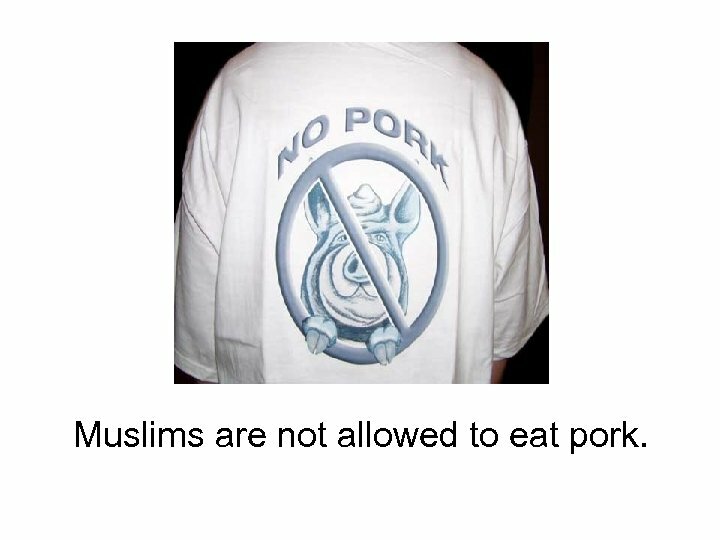 Muslims are not allowed to eat pork. 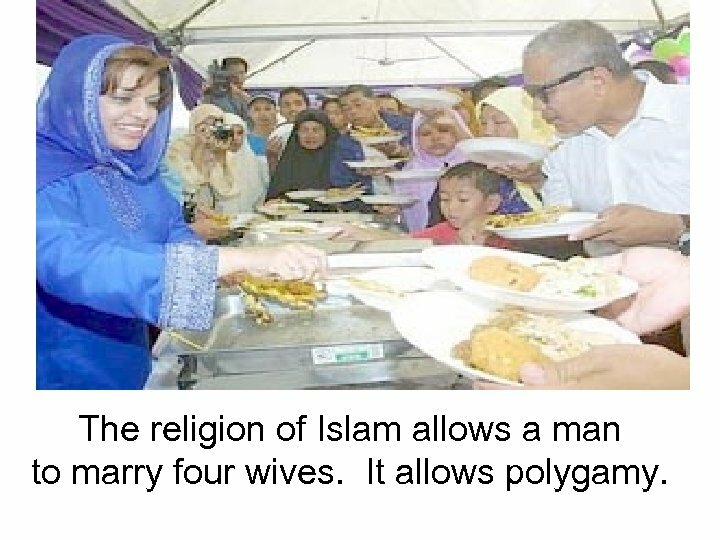 The religion of Islam allows a man to marry four wives. It allows polygamy. 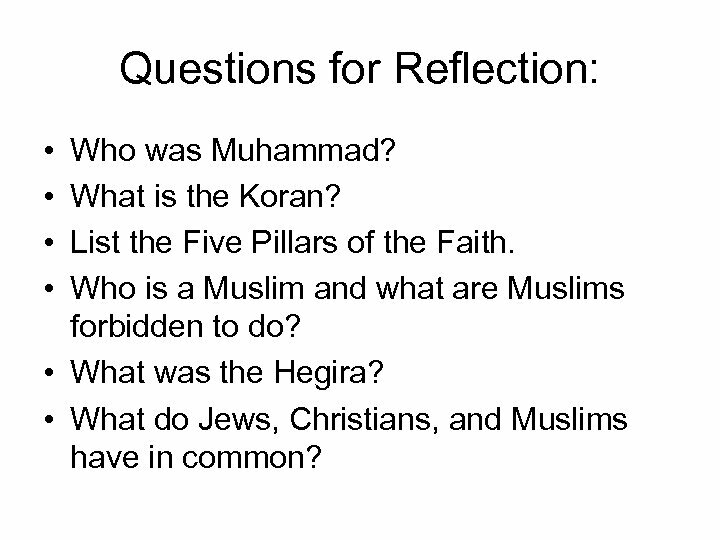 Questions for Reflection: • • Who was Muhammad? 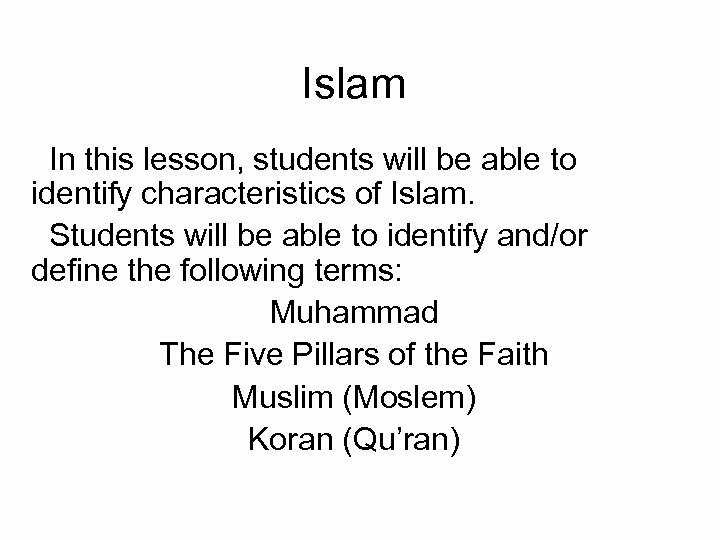 What is the Koran? 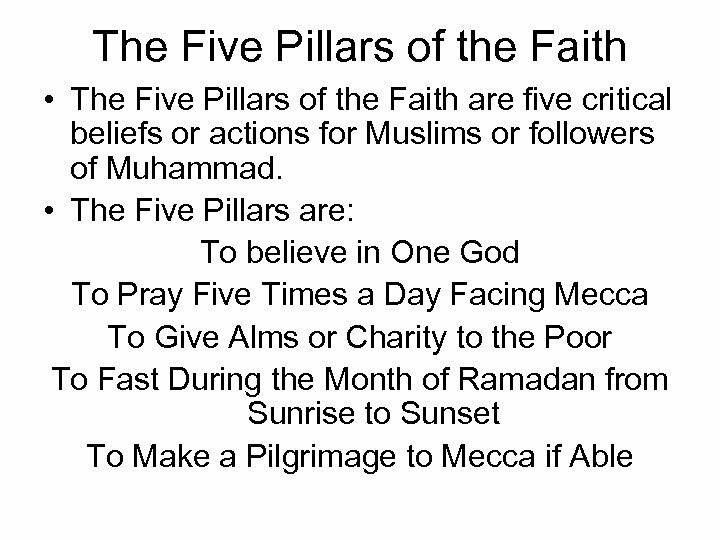 List the Five Pillars of the Faith. Who is a Muslim and what are Muslims forbidden to do? • What was the Hegira? • What do Jews, Christians, and Muslims have in common? A golden age is a time of peace, prosperity, and great cultural achievements. 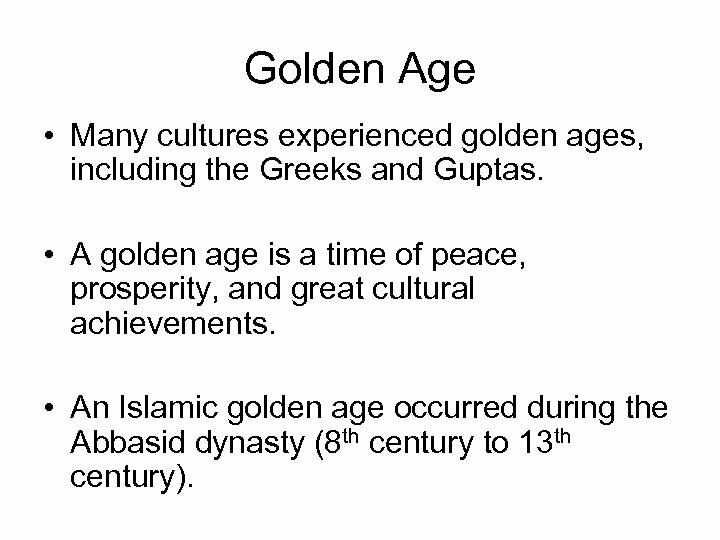 Golden Age • Many cultures experienced golden ages, including the Greeks and Guptas. 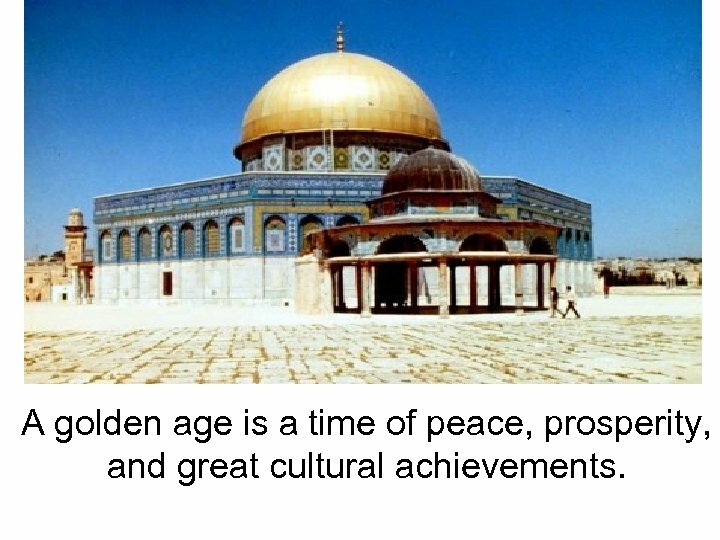 • A golden age is a time of peace, prosperity, and great cultural achievements. • An Islamic golden age occurred during the Abbasid dynasty (8 th century to 13 th century). Islam spread through conquest and trade. 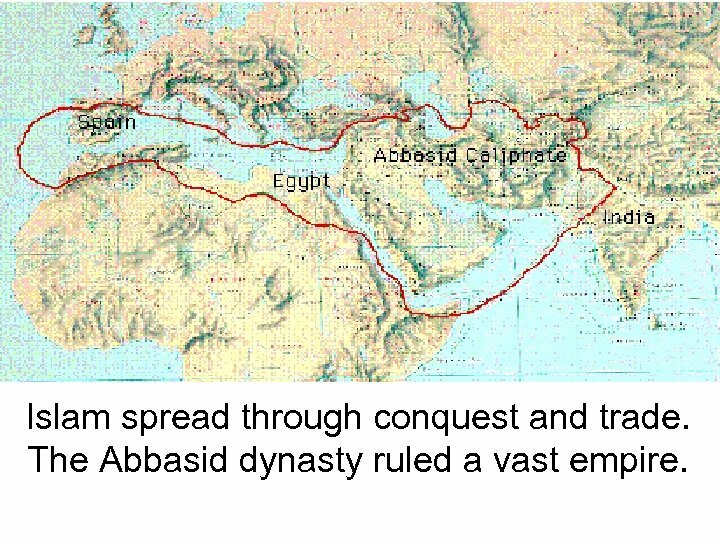 The Abbasid dynasty ruled a vast empire. The Islamic Golden Age • The Muslims experienced a golden age. • During the Islamic golden age, there were great advances in mathematics, medicine, architecture, and the arts. • It is important to remember that under the Abbasids, Islam became a blending of many cultures leading to great achievements. Muhammad forbade making images of God or people. 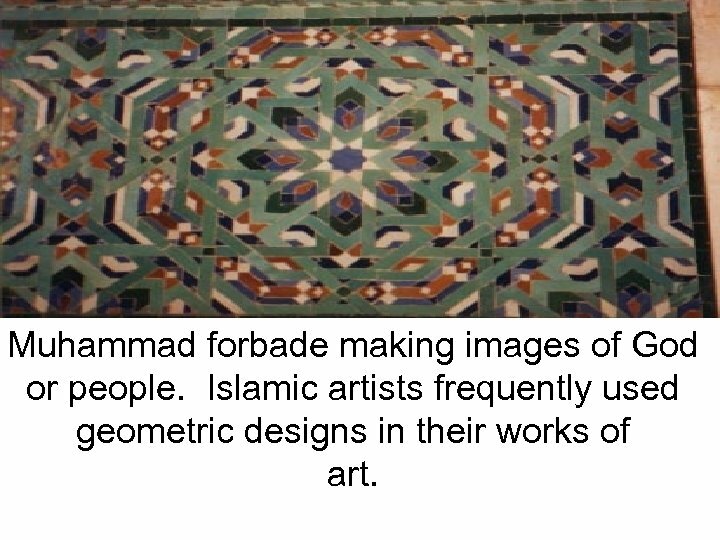 Islamic artists frequently used geometric designs in their works of art. 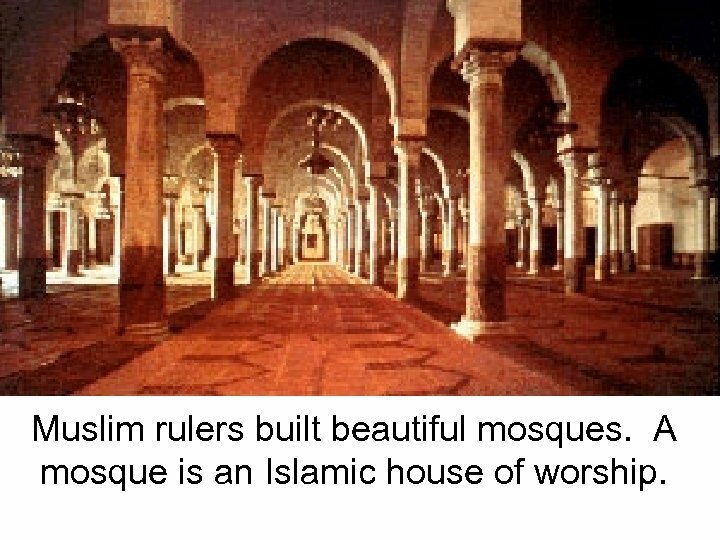 Muslim rulers built beautiful mosques. A mosque is an Islamic house of worship. 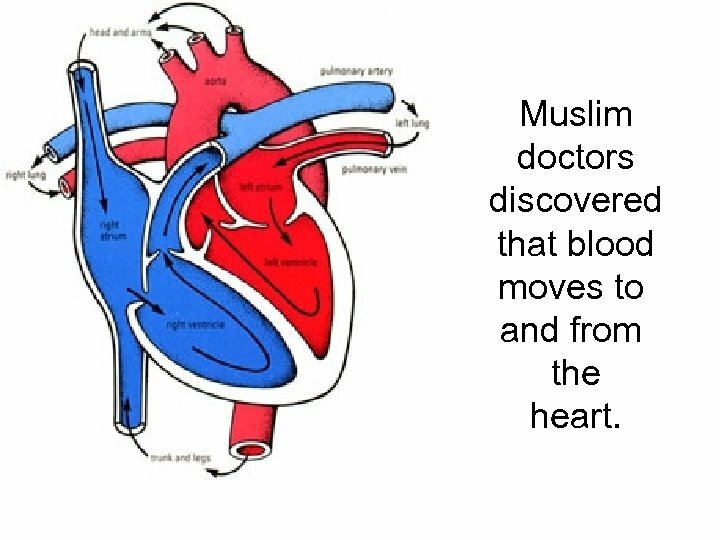 Muslim doctors discovered that blood moves to and from the heart. 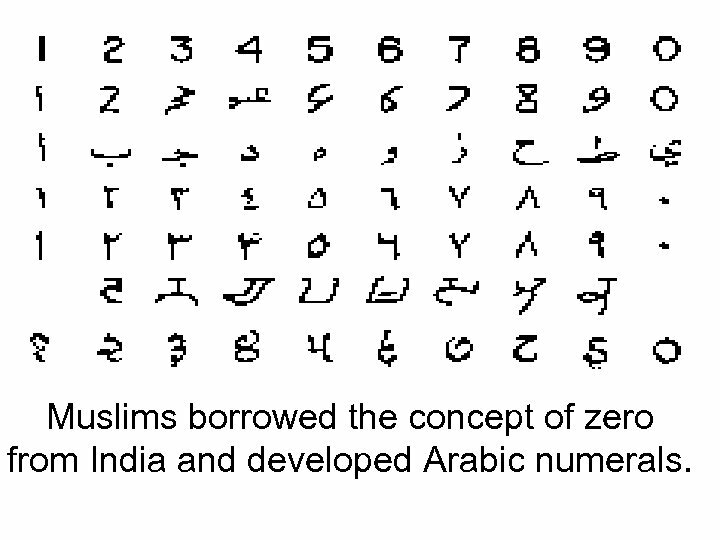 Muslims borrowed the concept of zero from India and developed Arabic numerals. 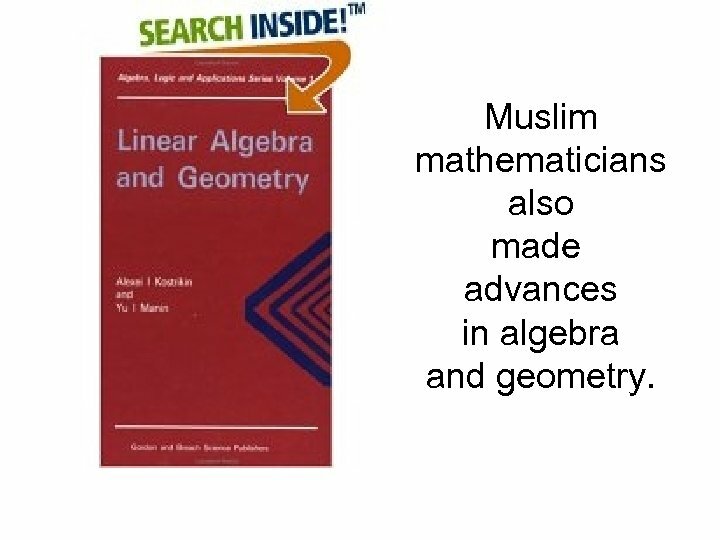 Muslim mathematicians also made advances in algebra and geometry. 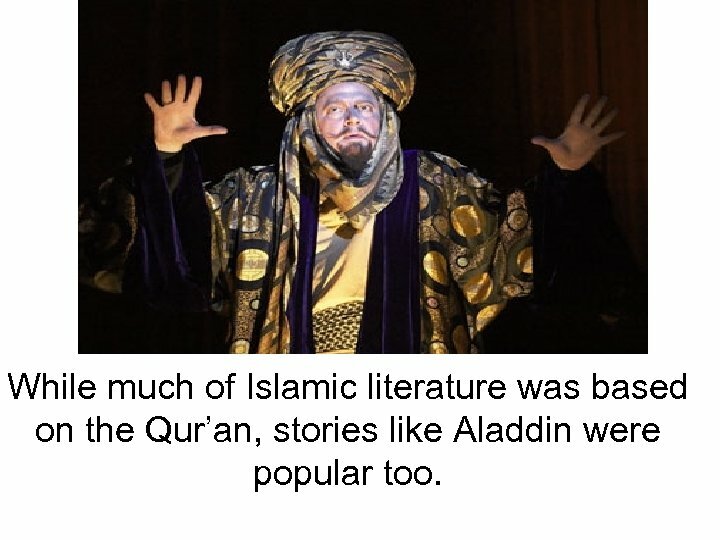 While much of Islamic literature was based on the Qur’an, stories like Aladdin were popular too. 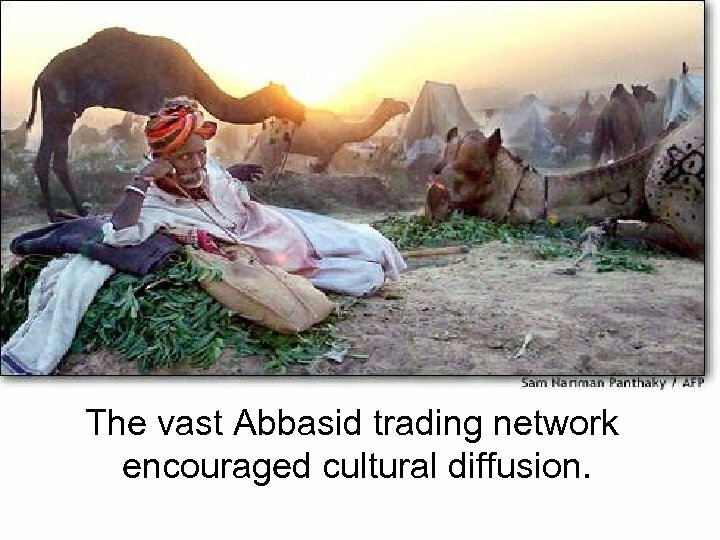 The vast Abbasid trading network encouraged cultural diffusion. 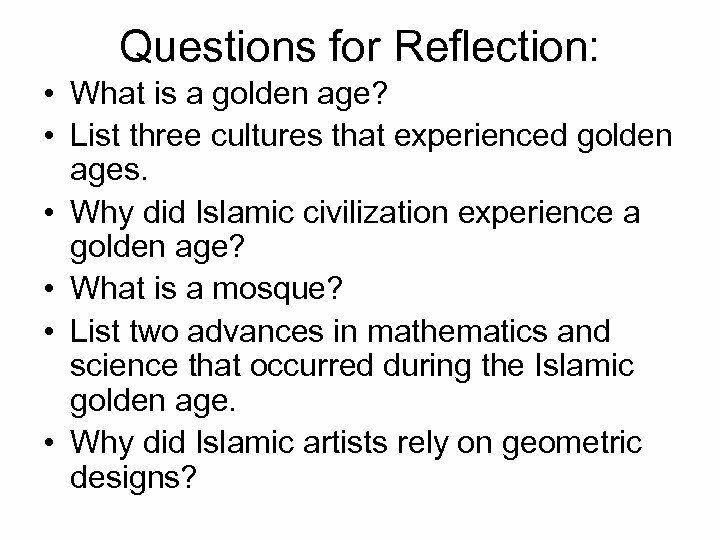 Questions for Reflection: • What is a golden age? • List three cultures that experienced golden ages. 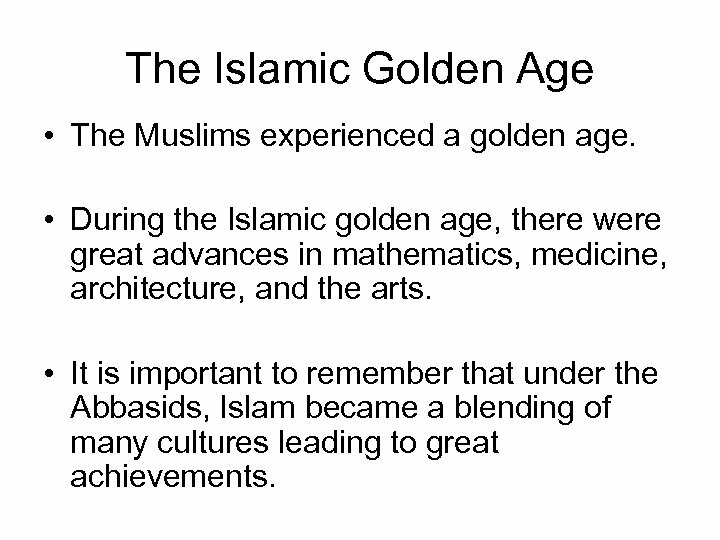 • Why did Islamic civilization experience a golden age? • What is a mosque? 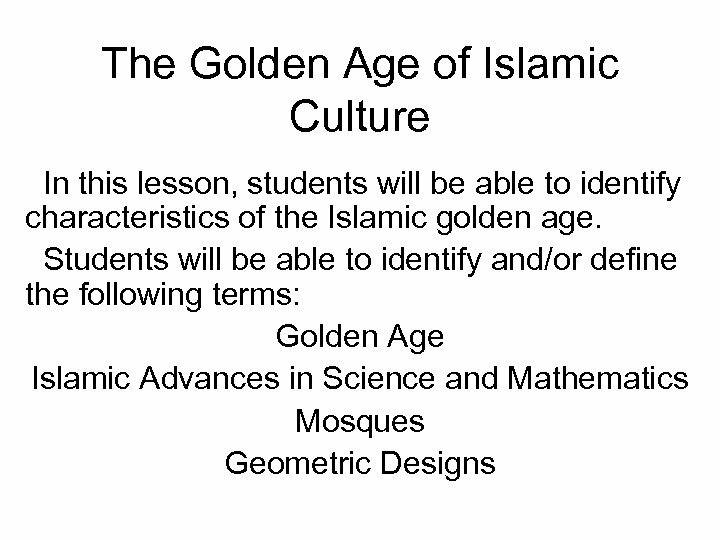 • List two advances in mathematics and science that occurred during the Islamic golden age. • Why did Islamic artists rely on geometric designs?